The Gentlemen of the Renegade Rowing League tearing it up! Today’s Rowing WOD is a 2k Row. It’s a test of how much pain and glory you can endure over seven to eight minutes. Grab some friends and get after it. This is the third time we’ve tested the 2k this winter. Today you’re rowing in honor of those competing at CRASH-B’s on Sunday. 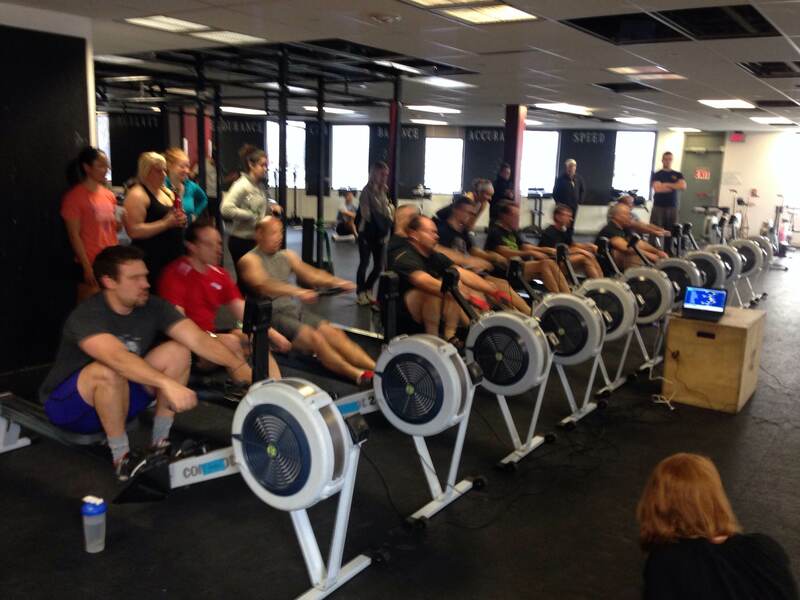 CRASH-B’s is the World Indoor Rowing Championship held at Boston University’s Agganis Arena. Many rowers and crossfitters from across the world are flocking to Boston to see what they’ve got and drop the hammer. If you’re one of the athletes competing at CRASH-B’s you should do some mobility and a few starts in place of today’s 2k. Rest, hydrate, eat well, and get fired up for Sunday! This entry was posted in Rowing and tagged endurance sports, functional movements, mental toughness, new sport, row 2k, rowing, sports by Renegade Rowing. Bookmark the permalink.